Item: It’s time to respect blog reporting as simply another platform to provide information with the same reporting standards as any other media. When we worked in Syracuse at WSYR radio running the sports department for almost a decade in its salad days a while back, it was also the beginning of the changing of an era from the media professionally and entertainingly reporting the news, to starting to blend into becoming part of the news as well. The media was beginning to cover the media, eventually the same entity was even covering itself (see ESPN), as practically another entertainment channel to choose from. Of course, in an online/mobile world now of an almost infinite list of destinations to choose from, that’s the norm, along with sites linking to other sites, the linking via Facebook/Twitter, and whatever new device is out there. Everybody’s connected, and the lines can get blurry. So now, after a couple of stories The Juice Online has published in the last month and a half providing information to our readers before any other media source that regularly covers Orange athletics, we’ll digress from our usual disdain for focusing on our own product in the Orange Watch column by once and for all making clear that the standards we use to determine what to publish and/or perhaps when to publish stories on this website, are no different than decisions we made on airing or publishing content on statewide radio network broadcasts of SU athletics, or when this platform was purely print. No difference! Wednesday morning when we were the first to break the story (the basketball message board at SyracuseFan.com first mentioned Melo definitely returning Tuesday evening) by publishing the news that Fab Melo was set to return to action, we were immediately hit with accusations of lack of credibility because we used “multiple sources” who refused to speak on the record (these sources simply can’t go public, no big deal, happens all the time to all members of the media), we had a generic byline (believe me, this was a TEAM effort), and because the university did not confirm our report (well, they did, but it was almost exactly 24 hours after our story first ran). As most of you know by now, we’re part of the SNY.TV Blog Network. That’s a partnership we’re proud of and take quite seriously in maintaining a journalistic standard to match an entity of its standing. To those out there who were throwing doubt our way Wednesday, and you know who you are, do you think we would jeopardize what we hope is a long-term relationship with the great people we’ve worked with so far in SNY’s digital media group, for the short-term gain of breaking a story if we didn’t think we had it right? Like SyracuseFan.com, we could have also published the story Tuesday night, but we decided to sleep on it and check one more item Wednesday morning to be 100 percent sure of our story. There’s simply zero reason for any of us on this masthead to want to lower the standards we have been trained in (many from the Newhouse school), simply because of the evolution of our platform of dissemination, which includes the unique ability to maintain geographic flexibility – we don’t have to have our entire staff in Onondaga County to report accurately for our tremendous growing readership of Orange alumni/fans. But unfortunately, until more credibility comes the way of blog reporting, it won’t be The Juice Online who is given credit for reporting Fab Melo’s return on an ESPN crawl at the bottom of the TV screen, or from a (somewhat) respected online college hoops writer like Jeff Goodman of CBS Sports, especially since our story was published seven hours ahead of the one Goodman references in his tweet, or any acknowledgment from other local Syracuse media. No, credit is instead left up to other blogs who also realize the responsibility that goes into reporting stories, in addition to sharing links of entertaining information of interest to die-hard ‘Cuse fans. Item: Doug Marrone is now the coach with the most seniority in the Big East. Hard to believe, but with Greg Schiano’s sudden departure last week to the NFL’s Tampa Bay Buccaneers after 11 years of rebuilding Rutgers into a bowl game program, entering just his fourth season of his own rebuilding project, Doug Marrone is the most-tenured coach, for the soon-to-be lame-duck Orange program, in what’s left of this version of the Big East. It doesn’t exactly translate into consistency when you look at the hiring disasters at Pittsburgh (Mike Haywood and Todd Graham now lead to newcomer Paul Chryst), the sloppy, but eventual BCS winning, transition at West Virginia (Bill Stewart to 2nd year coach Dana Holgorsen), an unexpected vacancy at Rutgers (a smart move to stay in-house elevating Kyle Flood from assistant head coach to head coach) with the league’s best recruiting class, and still relatively new coaches at Cincinnati (Butch Jones 3rd year), Connecticut (Paul Pasqualoni 2nd season), Louisville (Charlie Strong 3rd year), and South Florida (Skip Holtz 3rd season). 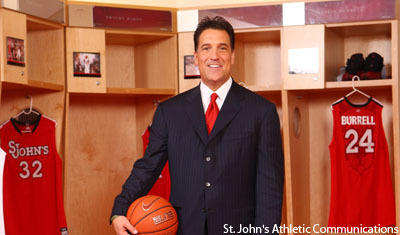 And the most tenured Big East coach will likely change for 2013, with SU’s expected move to the ACC.